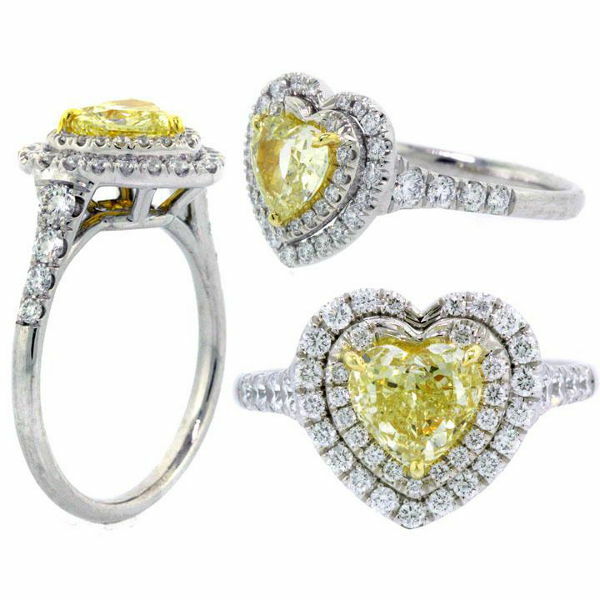 Yellow token of love… Heart shaped double halo fancy yellow diamond engagement ring. 1.01 carat GIA certified fancy yellow diamond mounted onto a platinum ring surrounded with 50 round diamonds. A beautiful ring.